You are here: Home > Canada > Northwest Territories > All > Hotels > Yellow Dog Lodge Inc.
Name Yellow Dog Lodge Inc. Rooms from $373.75 per night. Description This Yellowknife, Northwest Territories hotel has free internet access and non-smoking guest rooms. This hotel is also pet friendly. 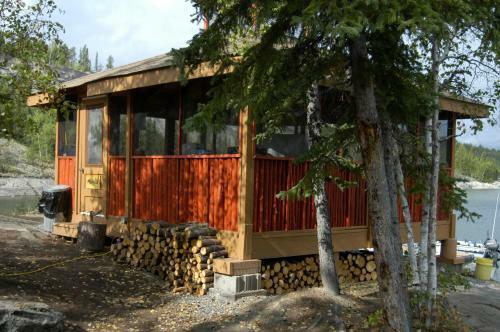 Accessible only by airplane this remote wilderness accommodation is located 55 km north of Yellowknife. All guest units include a fireplace. 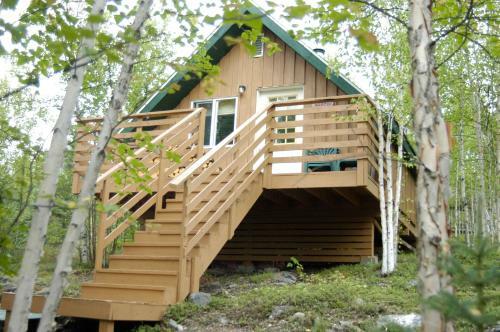 Guests can enjoy fishing and kayaking on site.A seating area is offered in each guest unit at Yellow Dog Lodge Inc. Barbecue facilities are also provided. Select room types offer an en suite bathroom or a balcony. All meals refreshments and guided fishing tours are included in the room rate.Breakfast at this secluded lodge will include eggs bacon and hashbrowns. Lunch and dinner menus vary and may include beef lamb or freshly-caught fish. Picnic lunches are also featured.Wildlife viewing tours and canoeing are some of the activities offered on site. After a day of snowshoeing guests can relax in the hot tub or sauna at Yellow Dog Lodge - Yellowknife. 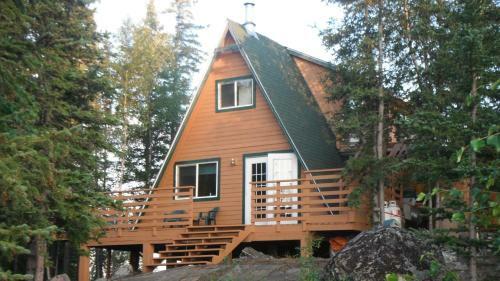 Add Yellow Dog Lodge Inc. to your free online travel itinerary. Directions to Yellow Dog Lodge Inc. Directions FROM Yellow Dog Lodge Inc.
Be the first to review Yellow Dog Lodge Inc.